TURNKEY MINI FARM IN STEEPLECHASE FARMS. 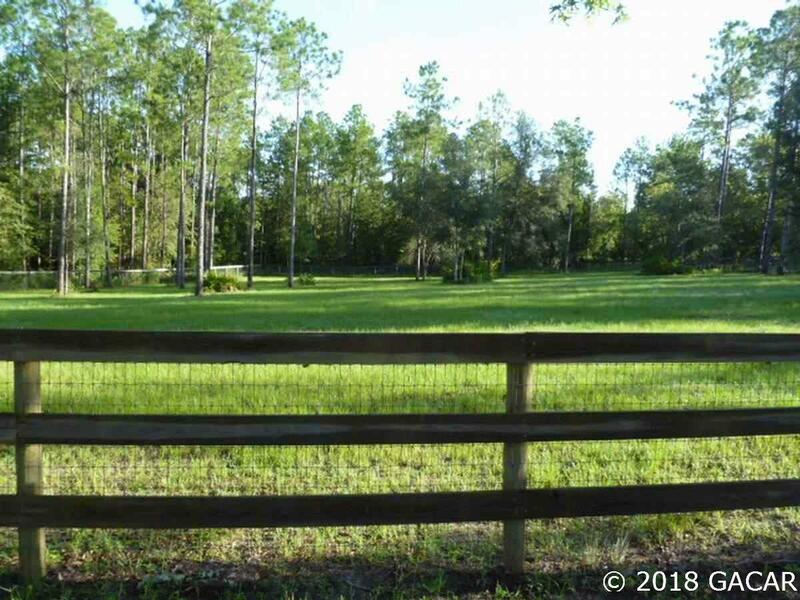 Enjoy Levy County's premier equine community with access to the Goethe State Forest and over 100 miles of pristine trails. 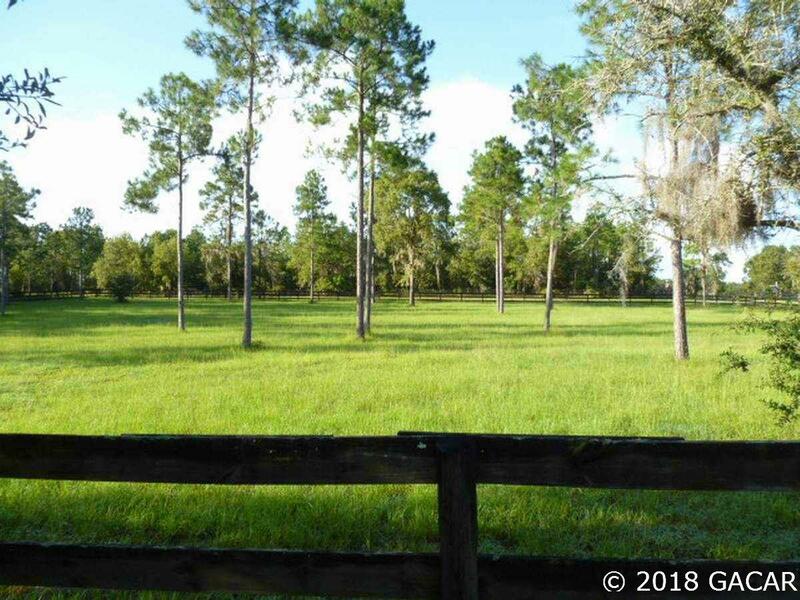 Whether you carriage drive, endurance ride or just want a peaceful community to pleasure ride, this is it. 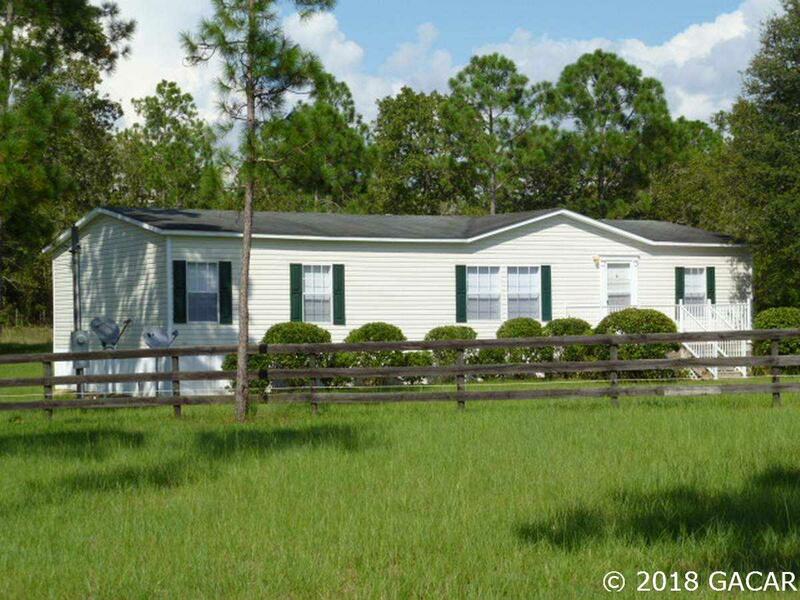 The turnkey, furnished home is immaculately maintained and features an open floor plan with vaulted ceilings, 3 bedrooms, 2 baths, an airy kitchen open to the living area with plenty of cabinet space as well as an enclosed breezy back porch to enjoy the Florida weather. 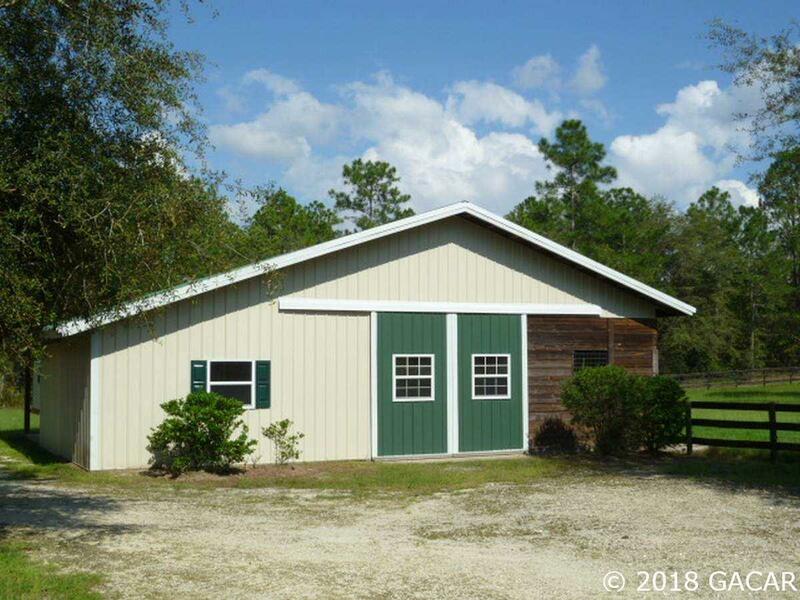 Outside you will find a custom 4 stall, center isle barn with tack room and a covered hay storage area. You will also discover beautiful established pastures, 3 board perimeter & cross fencing throughout and an R.V hookup for your friends. Take a look, you'll love it!